Some foods. Many more in the works! Example crops. Rice on left, Onion on right. Welcome to the FlenixCities FOOD MODULE! This module is all about food. It's early days and I'm completely open to ideas! As of 1.7.10, I have implemented the new food system. However, it is NOT COMPLETE, and most certainly missing many textures. If you want to help with textures, click the big link above. The rest of the system is almost there, but I figured I'd allow a 1.7.10 release so you can see how it's going. This is by no means intended for serious use right now, and should be considered beta. Do not whine at me when this breaks your world, sets fire to your computer and eats your dog. Do report any and all bugs though. THIS MOD WILL ALTER VANILLA FOOD VALUES. Yup, you read that right. I've nerfed most vanilla foods down to a much lower value. The reason for doing this is that vanilla food was balanced assuming no other food exists. You throw a mod with new foods into the works, and everything goes to pot and becomes imbalanced. So, I've nerfed most of the vanilla foods to be much lower, giving my own foods more value. NOTE: this is currently only in 1.6.x releases. It'll return in the 1.7 builds soon! I'm very open to ideas. What foods do you want to see added next? I've got a much bigger planned list than what's included, because I've cut the mod down to only those which are textured. I'm also going to be recreating pretty much the entire food system for Minecraft. I've already done 90% of the code, but I need a lot of textures to be made. Currently, there's only one cooking method, the Stove. Place a stove in the world, and get yourself some kind of pan. Place the pan in the stove's GUI, and you can then place food items in the slots related to that pan. Add coal to the bottom-left slot to fuel the stove, and your meats will start to cook! Keep an eye on the cooking stages. Raw food becomes undercooked, cooked, and eventually burned - you want to remove the food when it reaches "Cooked". If you time it exactly right, you'll get "Perfectly Cooked", giving a bonus! - The Vending Machine doesn't work just yet. It will in the near future. Just added to show it exists. 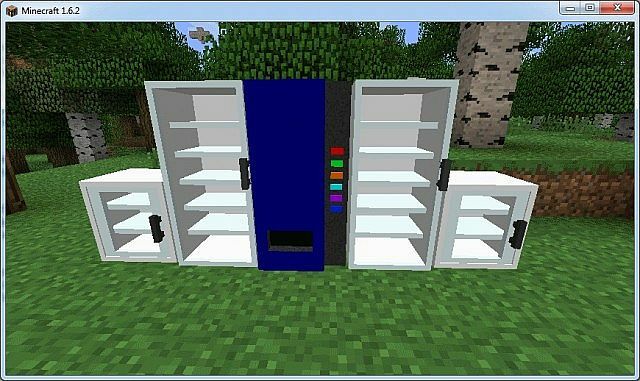 The Vending Machine mod that is somewhere on PMC supports my currency and works as a stop-gap until I get around to implementing this properly. - I have not tested compatability with the Hunger Overhaul mod. Both that and my mod override vanilla foods; whichever mod is loaded later will override and use their own values. Remember to follow me on Twitter, like me on Facebook, diamond and subscribe! Thanks for fixing the download!! But now the problem is that when I added version 0.17.0 to my mods folder, it crashed my minecraft!! How do I fix this? is this one of my mods fault?? I even tried it without my mods. Ah alright, that's a problem on my end that I need to fix. Unfortunately Forge servers are down right now so I can't do anything, I'll try again later. 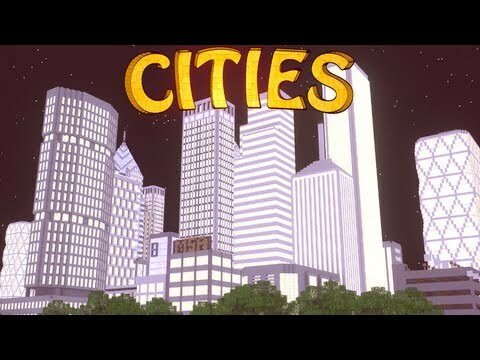 In the mean time, try using this build of FlenixCities instead, it should work. Only caveat is it's 1 build older, so a lot of the new blocks are missing from it. oh ok thanks! is there any difference for this version that you gave me? and can you give we a heads up when you fix this update? sorry! just really REALLY excited!!! anyway, in a future update of lenixcities... is anymore of the meat/food going to be retextured? FCFood will probably get updates in the future yes, as it has bugs that need fixing as well as more meats and a proper food system. Texturing meats is the main thing that's put me off it a bit to be honest, but I'll get it done eventually. yeah, when I kill the animals and they drop meat, sometimes when I pick up the meat that they dropped, my Minecraft just crashes. what platform are you using to make this mod and its textures? how are you making these textures?? also can you send a download link? thanks! Spamming me 4 times asking for a download link on a day that many people spend away from computers with their families, will not make me give you a link any faster. Link will be fixed shortly. So thanks for your time and commitment! if i might add, it would be nice if you could make the food items 3D. This will make the food look alot more appatising. a good example of this is the kitchen mod. 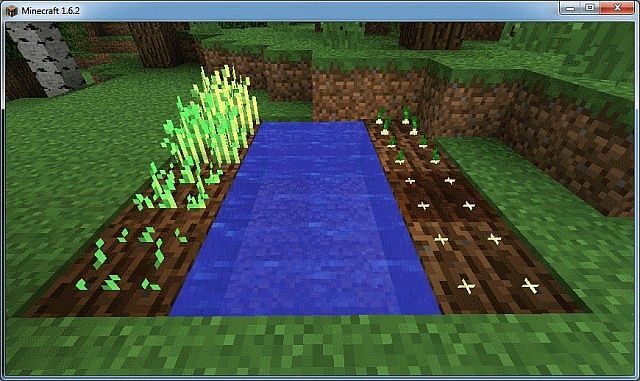 Currently developed for 1.7.10, but there are older 1.6.4 builds too. I just noticed-You might want to update the PMC post, because it still says (Down the bottom) that it is for 1.6.4. Erm... no list of items contained therein? Am I really the only person who still says "therein"? ALSO: What level did you become a Grandmaster at? Anyway, there's no item list on the thread, no, that's not something I generally do. 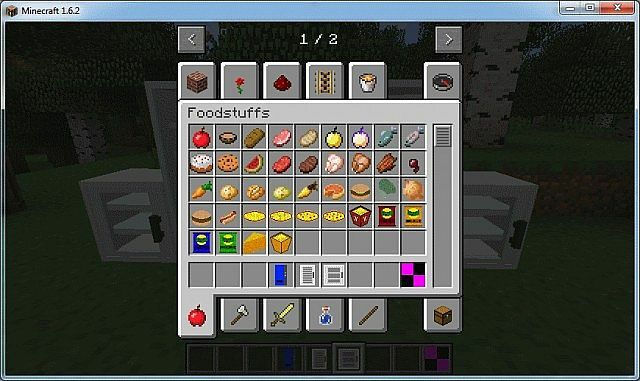 If you mean you can't find the items in-game, most are in the vanilla Food tab (A few people had trouble finding them in creative before). Recipes can be found with NEI. whenever i try to use NEI to find the food recipies, the game just crashes. it only works for flenix plain crisps. Can you chuck me a crash report? I've got NEI showing me recipes like the pizza absolutely fine. It's worth noting though that in the next update NEI won't work, because of my change to how crafting works for food; but, hopefully it won't be long until I get a few recipe books. It shouldn't be an issue anyway; my new crafting system means you can basically make anything. You throw in ingredients, it calculates it's total feed/sat value, and then you name it or it picks a preset name. would you like me to PM you, or just post in the comments? Use pastebin then post the link here. i tried to get a crash report, but it just closed the launcher. i looked up how to fix that, and it said to delete the mod config. im gonna try that. EDIT 1: it works now, after deleteing the config and a couple other mods. Silvania I sent to you private message with the mod lists. Also, you realize you commented on the Food module, right? Anyway, features come later, I'm just getting stuff in game for now. It's more server lag I'm concerned about. But, if I only tick it once every 10 seconds or so it shouldn't be an issue at all. I'll tinker around with it once I've got some other foods added. Silvania, can I use your mods on my own server ? 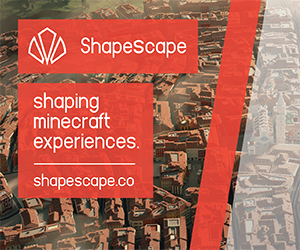 This will be a public server .My friends will play there and other people too. Ok ,but what I have to do ? Beacuse i don't know what I have to do with this public permission list. public permission lists are required for any open servers which use modpacks (ie, not just you and a few friends). Very easy to do, you need to have a list somewhere of all the mods in the modpack, the name of the person who made it (in this case, I'm Flenix but Silvania Studios is fine), and a link to their official download place (so this PMC page). This is an awesome mod! And the fact that it's about food just, it's awesome. And then your personality makes it 25x better! I really want to say no because of your demanding attitude, but unfortunately it already IS 1.6.2. "It just crashes" means you've done something wrong. If there's no crash report, it's not my mods fault, it's a problem with your computer or installation. I believe you should add texture support to help improve the bland colors no offense. People can re-texture as they wish, but I'm not planning to change the vanilla ones. How many real fridges are made from Quartz? ;) the casing is usually plastic. I know there's an oven but I was wondering if you could add a stove that can cook up to 4 things at once. this item might have to be made for Tekkit which has electricity. could be a mod onto it's self actually. I have ideas for foods like beef/chicken burgers and stuff but I would like to see a list before I suggest things that are on the mod or plan on being in the mod. Ok, firstly "Tekkit" doesn't have electricty, because tekkit is not a mod. IndustrialCraft2 has electricity. I might be thinking about the technic pack which has a bunch of mods in it. cool to hear beef burgers are in the mod. is there a whole list you can link me? [FORGE][1.6.4/1.7.10] HUDWidgets 0.6.1 - Redesign and Realign your HUD: 100% configurable!